Charity Hot Firefighter calendar sold out in Charleston: Why? 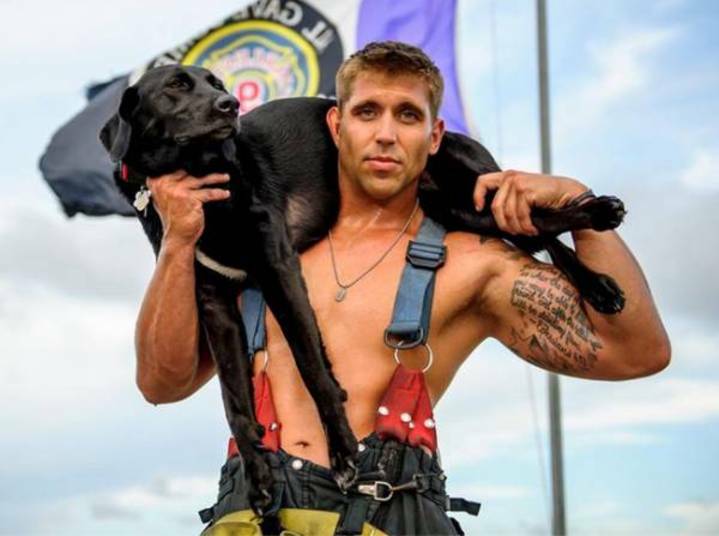 The Charleston Animal Society’s 2015 Charleston firefighter calendar is suddenly selling like hotcakes after Buzzfeed featured several of the beefcake photos on its website Monday. Director of Community Engagement Kay Hyman said the viral website plucked pictures of the hunky, Charleston-area firefighters holding puppies and kittens from their firefighter Facebook pageand posted them as a listicle on its Buzzfeed Animals site. The article has turned out to be a belated Christmas gift as orders for the $20 calendars are starting to pile up. The last 24 hours have already doubled their best day ever and yielded 10 times the orders what they did the rest of the week. They sold more than 5,200 calendars before the surge and more than 340 in the 24 hours since. Hyman said the phone of Caroline Eller, the group’s director of development and mastermind behind the calendar, dings every time they get an order. “It’s blowing up nonstop,” Hyman said. Orders are coming in from as far away as Peru, Hong Kong, Germany, Brazil, Norway, South Africa and Australia. The UK Daily Mail noticed the article and wrote its own. Good Morning America is talking about airing a segment on it on Wednesday. This is the second year the animal society has sponsored the calendar, which was voted No. 8 on a list of Top 20 firefighter calendars by firecritic.com. All proceeds go to Toby’s Fund, which benefits injured, abused and neglected animals. You can buy your own calendar at charlestonfirefightercalendar.com.